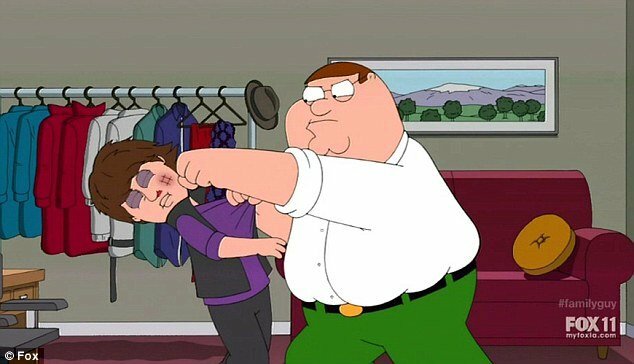 Home Tags Posts tagged with "peter griffin"
The Simpsons will meet Family Guy for a crossover episode, Fox announced Thursday. The two highly popular animated comedies are scheduled to meet in autumn of 2014 in a mash-up which will surely have fans jumping for joy. The episode will take place in The Simpsons’ hometown of Springfield, where Family Guy‘s Griffin family will show up for what will surely be hilarious interaction. The mash-up has been dubbed The Simpsons Guy and will surely be a win for Fox, which is the home of both shows. According to Fox, when the Griffin family arrives in Springfield during a road trip, they “get along famously” with the Simpsons. Homer Simpson “welcomes his new <<albino>> friends with open arms”, the episode synopsis explains. When the famous cartoon families meet, of course Homer Simpson and Peter Griffin will go head to head over which beer is better – Duff or Pawtucket. Family matriarchs Marge Simpson and Lois Griffin are apparently set to become pals, whilst Stewie and Bart will bond over their mutual love for pranks. The Simpsons, created by Matt Groening, and Family Guy, created by Seth MacFarlane, have never had an official crossover episode. Seth MacFarlane has appeared in an episode of The Simpsons, and Dan Castellaneta of The Simpsons made an appearance on Family Guy, but that has been the extent of it to date. 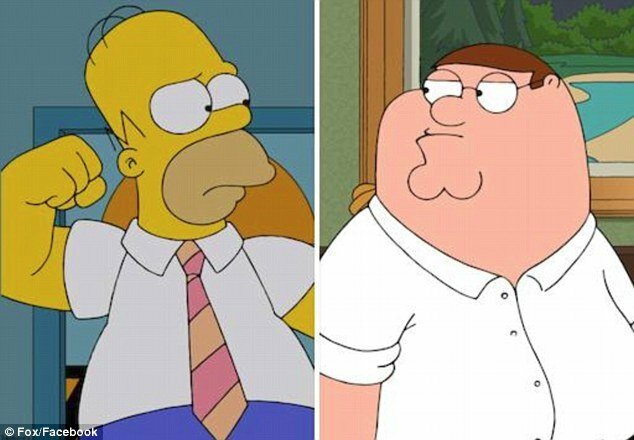 The Simpsons has been running for 24 seasons now, while Family Guy is in its 11th season. Fox’s adult cartoon Family Guy depicts mass deaths at the Boston Marathon in a recent episode aired last month. Family Guy Boston Marathon episode, which first aired on March 17, was removed from Fox.com and Hulu.com and the network has no plans air it again, Fox spokeswoman Gaude Paez said Tuesday. The Boston Marathon episode features the show’s main character, Peter Griffin, unwittingly befriending a terrorist who is planning to blow up a bridge and then accidentally detonating two bombs using a cell phone the friend gave him. The sounds of screams follow the detonations. In a separate and unrelated scene, the episode depicts peter Griffin reminiscing about how he won a former Boston Marathon by mowing over runners in his car. “I’ll tell ya, Bob, I just got in my car and drove it,” Peter Griffin says. As he talks, Peter Griffin is illustrated driving his car across the finish line with a trail of bloody carnage behind him. Internet users mashed the clips together and suggested that the Family Guy episode had either predicted or influenced the tragic explosions at the marathon on Monday that killed three people and injured 183. Family Guy‘s creator, Seth MacFarlane, called the edited clips “abhorrent”. 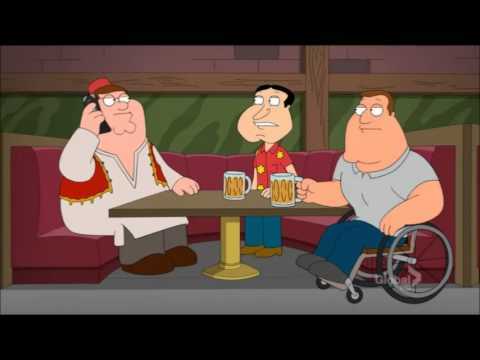 “The edited Family Guy clip currently circulating is abhorrent,” Seth MacFarlane tweeted on Tuesday.